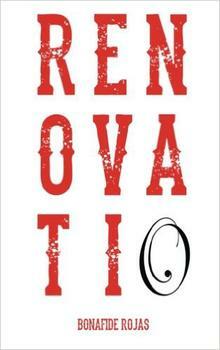 "RENOVATIO" is the 3rd collection of Bonafide Rojas & the 2nd publication from Grand Concourse Press. This collection of poems deal with the beauty of reinvention in life & in art, coming of age, dealing with death, fatherhood, the impermanence of our mortality, the realization of interconnectivity & the quiet beauty of solitude. bonafide rojas is a poet, musician & the author is of two previous collections of poetry: When The City Sleeps (Grand Concourse Press, 2012) & Pelo Bueno (Dark Souls Press, 2004). He has been published in numerous anthologies & is the bandleader of the musical art project: The Mona Passage. He currently lives in New York City.